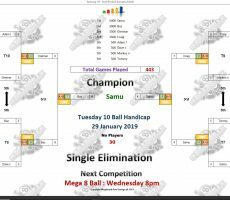 TUESDAY 10 BALL – 29th JANUARY : SAMU WINS. 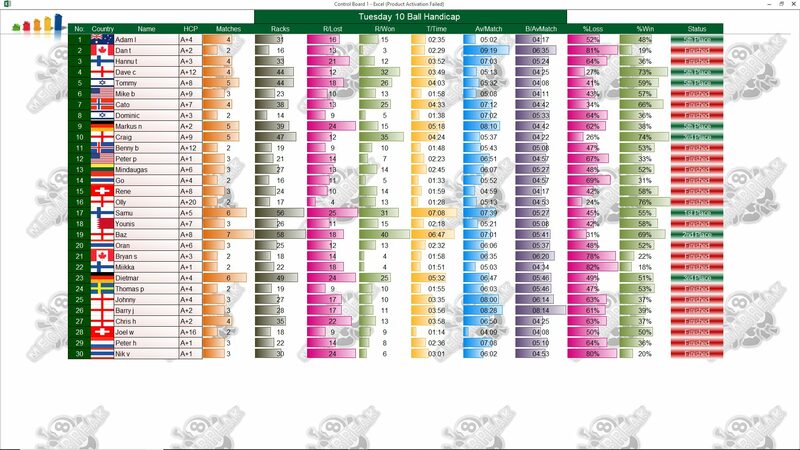 Finland’s Samu Laine is our 10 Ball Champion for this week. 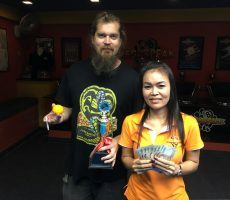 Playing here for just the fourth time, and from a total entry of 30 players, he was on top form all night long to win six matches without defeat and claim the 1st Prize of 5000 baht. In the final he beat Megabreak’s Barrie Sherman, 4-4 in racks (race 4-7) to seal an impressive performance on the night, and his handicap now moves up to A+6 as a result. 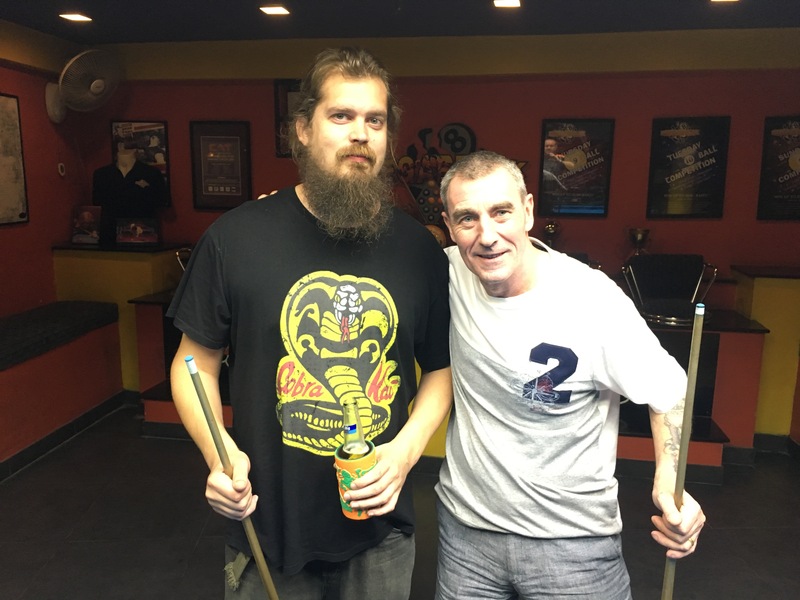 Barrie did well to reach the final after losing his very first match of the night in the groups, and collected 3000 baht as Runner-Up. 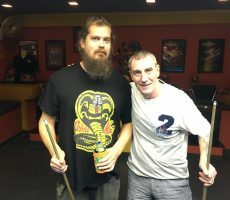 England’s Craig Jones and Dietmar Ptak from Germany both reached the semi-finals, taking home 1500 baht each. 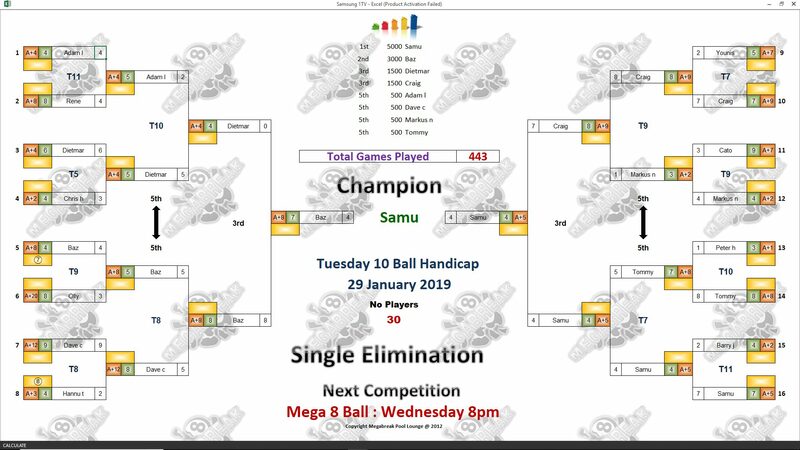 Champion : Samu (A+5) – 5000 baht. Runner-Up : Barrie (A+8) – 3000 baht. 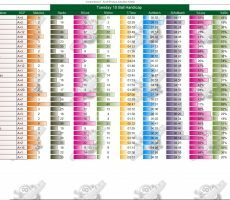 Semi-finals : Craig (A+9) and Dietmar (A+4) – 1500 baht each. 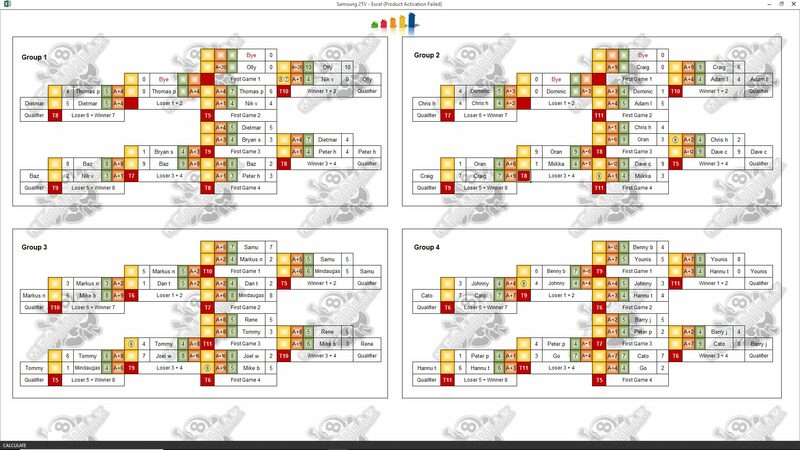 Quarter-finals : David Chalmers (A+12), Tommy Fineman (A+8), Adam Lux (A+4) and Markus Nolberczak (A+2) – 500 baht each. The Player Auction Prize Pot totalled 44000 baht, and was won by Olly Downey. 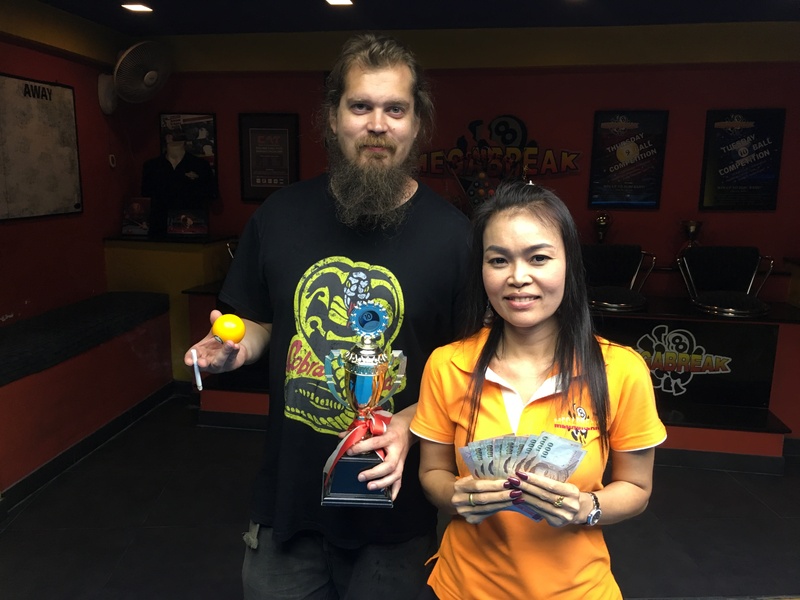 He paid 1400 baht for our winner, and they shared the 1st Payout of 12000. 1st : Olly (Samu) – 12000 baht. 2nd : Cato (Barrie) – 9000 baht. Equal 3rd : Cato (Craig) and Barry Johnston (Dietmar) – 5200 baht each. Equal 5th : Dominic (Dave), Peter Jiskoot (Tommy), Johnny (Adam) and Dan (Markus) – 2600 baht each.